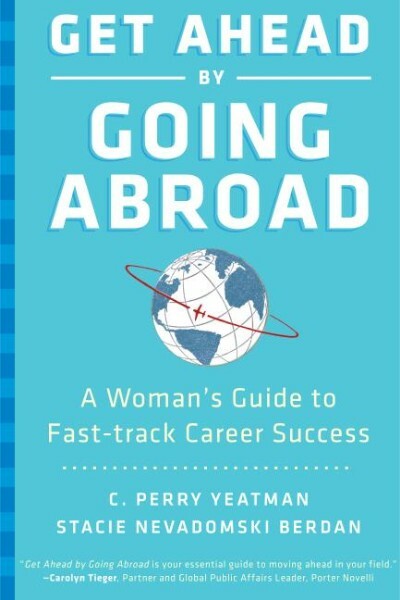 Stacie Nevadomski Berdan is co-author with C. Perry Yeatman of Get Ahead By Going Abroad: A Woman’s Guide to Fast-Track Career Success and the forthcoming GO GLOBAL! A Student's Guide to Launching an International Career. She became a vice president at Burson-Marsteller, a leading global PR firm, at the age of 27. She later jumped from vice president to global account managing director after a three-year stint in Asia. By age 34, she was leading the company’s fourth-largest revenue-generating client and was named partner – in the top one percent of her peers. Today, Berdan is a successful author and consultant focusing on the benefits of feminine leadership and the changing role of women managers within the context of an increasingly global marketplace. She is a sought-after speaker around the world, bringing fresh ideas to a company’s leadership initiatives and business management strategy. Recent speaking clients include Credit Suisse, Goldman Sachs, Merrill Lynch, HSBC, Amdochs, George Washington University, and Florida Atlantic University. Berdan can be booked individually or jointly with co-author Yeatman (see Yeatman’s full bio on this site). Berdan’s numerous broadcast appearances include NBC Weekend Today, ABC News Money Matters, CNN International, the Forbes network, several FOX appearances, including International and “Money for Breakfast”, and national and syndicated radio. In addition, Stacie has been quoted and her book has been featured in USA Today, Time, the Wall Street Journal, International Herald Tribune, Fortune.com, Forbes.com and MORE magazine, among numerous others. Her recent articles about China and the Olympics have been published in the Huffington Post, Greentree Gazette, and Hartford Courant. In the ground-breaking Get Ahead by Going Abroad, Berdan and Yeatman show that as companies expand their international operations, smart women who are prepared to “go global” by pursuing opportunities overseas can dramatically accelerate their careers, enjoying high-profile projects, bigger promotions, and impressive financial rewards. Since women still face major obstacles breaking into senior ranks (according to a recent Catalyst census survey, it can take women 40 years to reach parity with men in corporate officer ranks), overseas experience is one of the best ways to fast track their careers and catapult them to success. Berdan and Yeatman, who dramatically accelerated their own careers in this fashion, reveal the important career opportunity this trend poses for women. They share useful anecdotes from their own and others’ experience and provide the go-to resource for women – single or married – at every level: young professionals seeking to break out from the pack, mid-career women interested in new challenges with increased responsibility, or senior executives in pursuit of positions in executive management. They give successful strategies on how to land the assignment, succeed in the job, and enjoylife abroad. 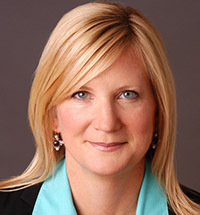 Berdan spent the majority of her career at Burson-Marsteller, one of the world’s leading global communications firms, rising from entry level to senior management, and was one of its chief strategists. After her tenure at Burson-Marsteller, she went “in house” at Unilever, one of the world’s largest consumer products companies. During her 15-year career, she counseled dozens of senior executives at the world’s leading companies, internationally-acclaimed non-profit organizations, and several foreign governments in the area of strategic business communication. It was her three years in Hong Kong, however, that gave her the opportunity to effectively differentiate and distinguish herself as she began counseling senior executives mid-career. She excelled and returned to Washington, D.C., with greater responsibility, jumping from vice-president to global account managing director. Her professional responsibilities have spanned more than 50 countries in Asia-Pacific, Europe and Latin America. Berdan has served as coach, counselor, strategist and adviser to CEOs, heads of state, politicians and senior executives around the world. Her cross-cultural consulting experiences enable her to work well with a diverse mixture of professionals across industry, seniority level, nationality, and gender. She brings a unique perspective to the table as a female leader with international experience in these dynamic times. Berdan received a Bachelor of Arts degree from Florida Atlantic University in 1988 and completed a graduate course there in 1991. She lives in Weston, Connecticut, with her husband and twin daughters.